NGC 2467. 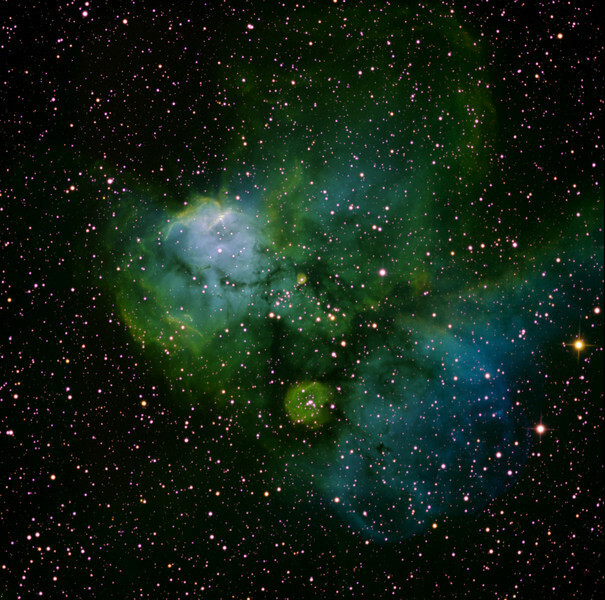 A bright emission nebula in Puppis. Without much imagination one can see the dog Snoopy, more or less facing the camera. To the lower right is a frothy complex emitting in [O-III].